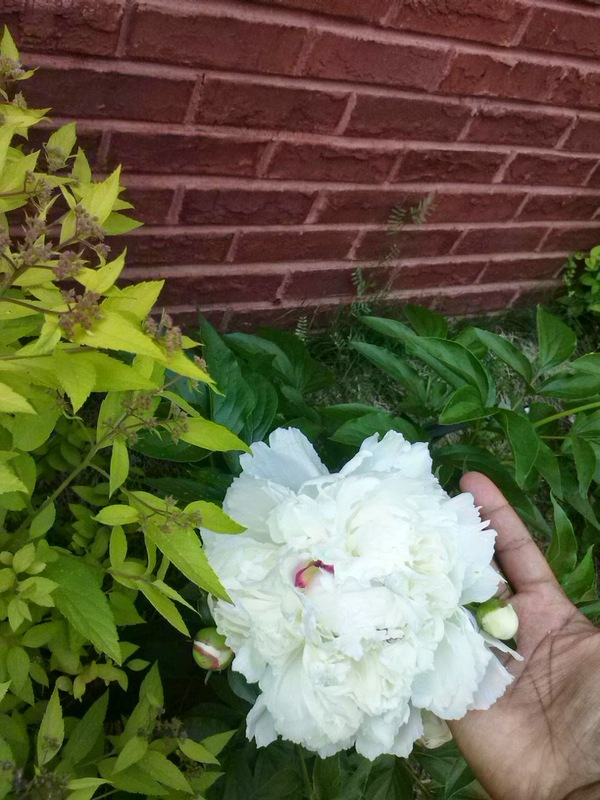 The Week In Blooms - Oak House Design Co. 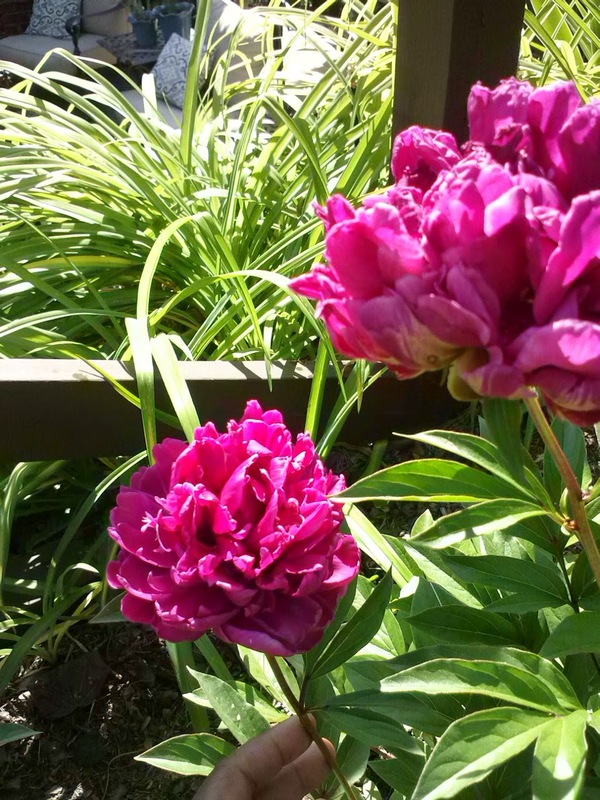 I have been enamored with the vivid color of blooms in my garden this week, especially the peonies. 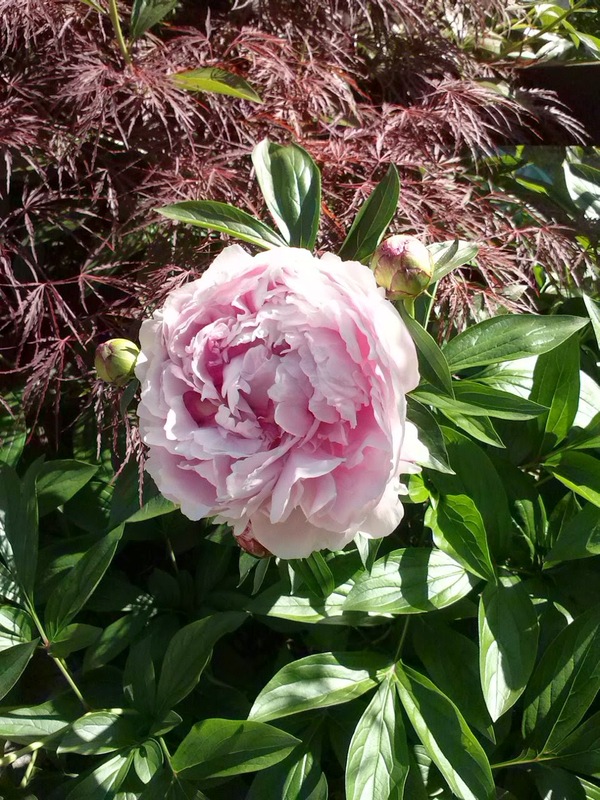 I saw peonies for the first time at a friend's house several years ago and they literally stopped me in my tracks. I have been in love ever since. 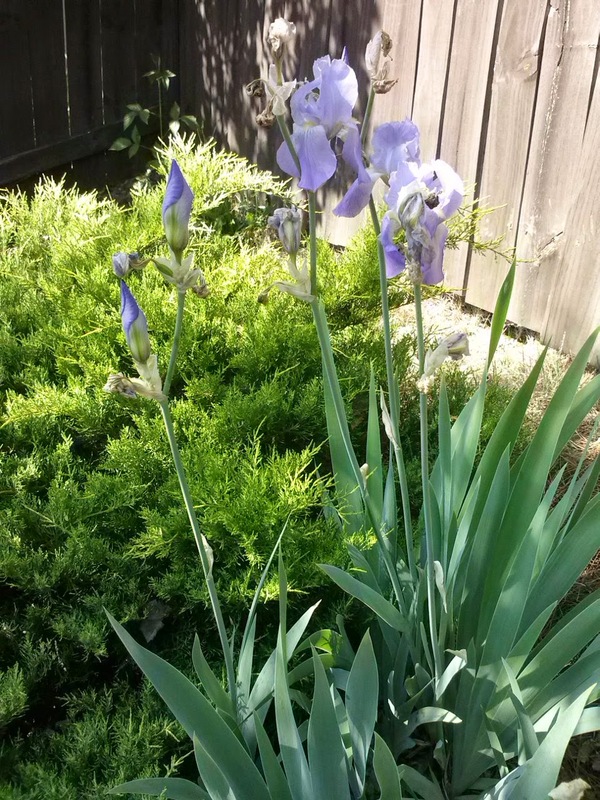 Since then, I purchased several plants, but they weren't the double bloom variety I was hoping for. 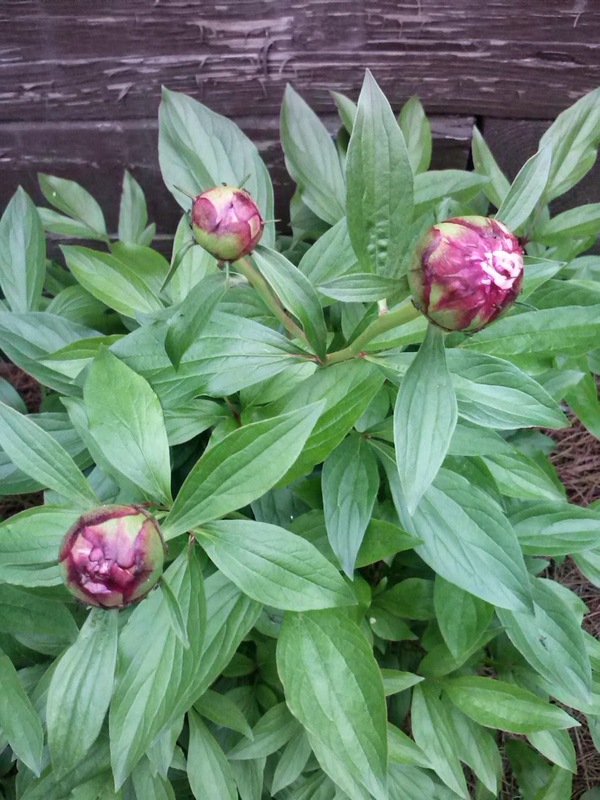 But one day at the Grower's Outlet, they had several peony plants marked down to a dollar. I think they had been watered in the middle of a sunny day and the leaves got burned. Well, I decided to give them a chance because I knew they were perennials and would recover the next year. Boy am I glad I did! It has taken a few years for many of them to bloom, but I am watching them shine this year. The white one below, Festiva Maxima, finally bloomed after probably 3 years. I could probably stand to read up on their care to see how to maximize the number of blooms. They only seem to bloom for 3 weeks, but they put on quite a show. I had to cut some and bring them indoors even though I only had a few blooms. Did you know that the ants crawling on the buds helps the flowers to open up? The first year mine bloomed, I thought something was wrong! But thankfully, no worries. 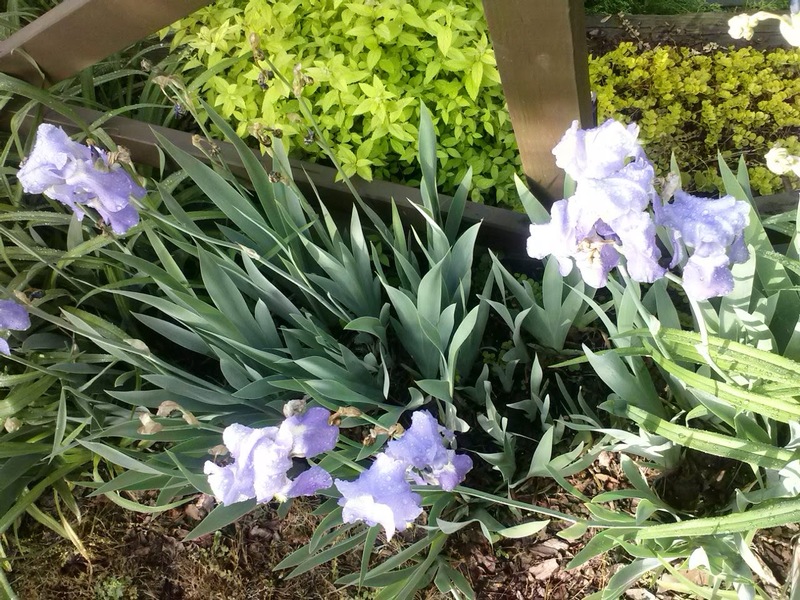 My mom always had irises in her front yard when I was growing up and still does. After I got married and moved, I came back home and dug up some for my own yard. Ten years later, they've been divided and are still going strong. 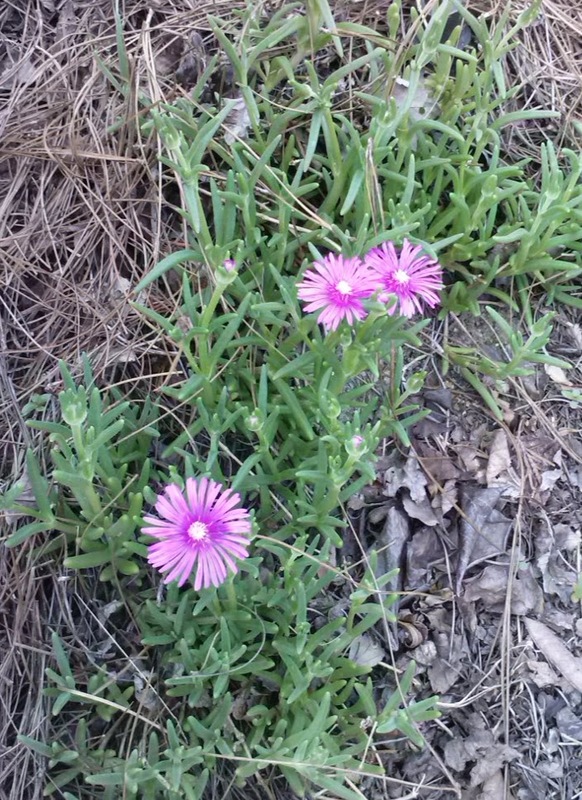 And finally my Ice Plant. It's in the succulent family, so it does well with Georgia heat and sun, and blooms all summer long! My roses are blooming to, but I didn't get a good picture of them. I also got some of my pots done but I will have to get pictures of them later. I better go, my son wants me to watch Turbo with him. Let me know what's blooming in your garden! We had a landscaper plant a bunch of stuff last year, but unfortunately the harsh winter killed a lot of the plants. Bummer. I planted my herbs for the year about 3 weeks ago and am enjoying them already. 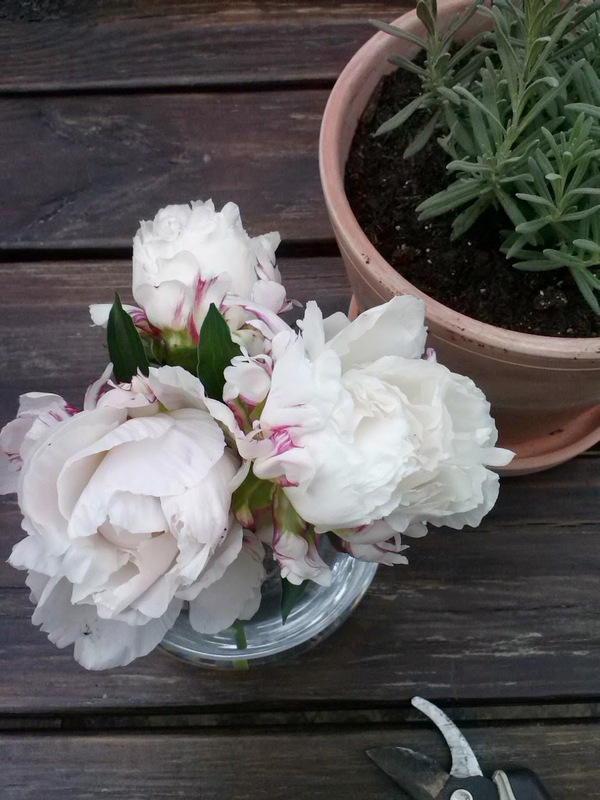 Aren't the Sarah Bernhardt peonies the best! Love is the only way to describe how I feel about them. I agree I think they like more sun. I still have some dead foliage on some of my evergreen vines on my porch that I need to cut back, but nice that you're getting to use your herbs already!